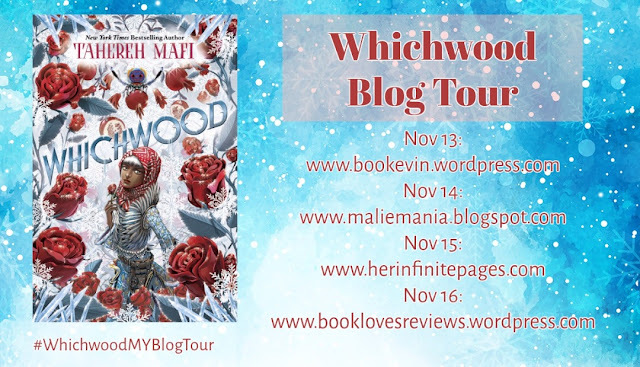 I was exhilarated when i was invited to be a part of the Whichwood Malaysian Blog Tour! I read the ARC for Furthermore last year and absolutely ADORED it. 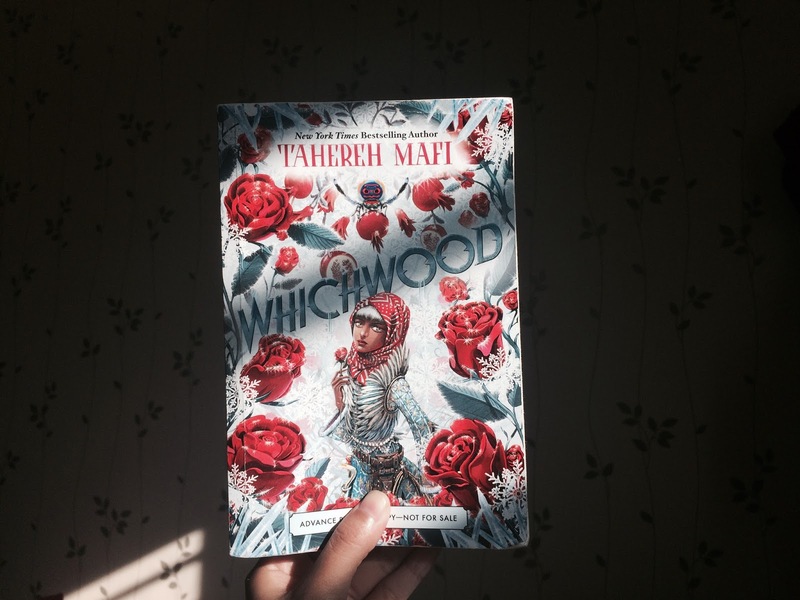 Whichwood is Tahereh Mafi's second middle-grade novel, and also happens to be the companion novel to Furthermore. Personally, i feel like it should have just been labeled as a sequel, because Whichwood begins nicely about a year after the events in Furthermore. But that aside, I thought that the book was such a delight to read! Thank you so much to Penguin Random House USA International for organizing the blog tour and for sending me and other Malaysian book bloggers an ARC of this book! I'm rating this beauty a solid 4 out of 5 stars! The overall plot for Whichwood was generally enjoyable, but i don't think it was the only thing that made this book really great. I thought Whichwood had a really interesting start, one that sucked me into the world right away. I also got really excited when we got to meet the characters from Furthermore very early in the book. Even though i've already read Furthermore, I still appreciated the occasional footnotes throughout the book explaining about certain situations that readers who haven't read Furthermore may question. I don't think it was highly necessary to be included (and personally i'm not a huge fan of footnotes because it interrupts my reading experience), but seeing as I read Furthermore more than a year ago it was nice to be reminded of the smaller details that i've forgotten. The book started to get a little bit draggy in the middle, but towards the end it took a huge turn and got me flipping the pages right until the end. Overall, I liked the concept of mordeshoors, and i enjoyed finding out what happened at the end of the book. CAN WE TAKE A MOMENT TO APPRECIATE ALL THE PERSIAN/MUSLIM/ARABIC NAMES IN THIS BOOK? I never realised just how beautiful Persian names were, and I love that the world of Whichwood seemed to have their own beautiful culture even with their names. Laylee was a very unique character, one I don't think I've come across before in any other book. Her character was interesting in so many ways. Reading about how lonely she was, the way she evaluated her self-worth, how hard she always was on herself, and all her hidden dark thoughts really broke my heart. It made me want to give her a nice warm hug, because she seemed incredibly strong for needing to go through such darkness at such a young age (I believe she was 13 years old?). I loved seeing her character develop throughout the book. I loved seeing my two favourite characters from Furthermore being very active characters in this one, and I loved Benyamin, the new main character being introduced later in the book. I adore their friendship, and I liked the way Tahereh Mafi managed to build their connection without spending too much time on it. I also appreciated the innocent hint of romance, I feel like I need Tahereh Mafi to write a Young Adult novel for the characters when they grow older! The world-building in Whichwood was not as strange and extraordinary as the descriptions in Furthermore. I feel like Whichwood (the magical land in the book itself) was more similar to our own world, and this was no surprise seeing as the book was apparently inspired by Persian tales (and is actually described as a Persian fantasy). This isn't at all a bad thing, I loved reading Mafi's descriptions of the fashion, food and traditions. Though i did find it a little bit odd that references like Rumi were even mentioned in the story, because it did take me out of the narrative for a second since i associate those words to the real world instead of the fictional world. Other than the wonderful descriptions, Tahereh Mafi's writing once again deserves a standing ovation! 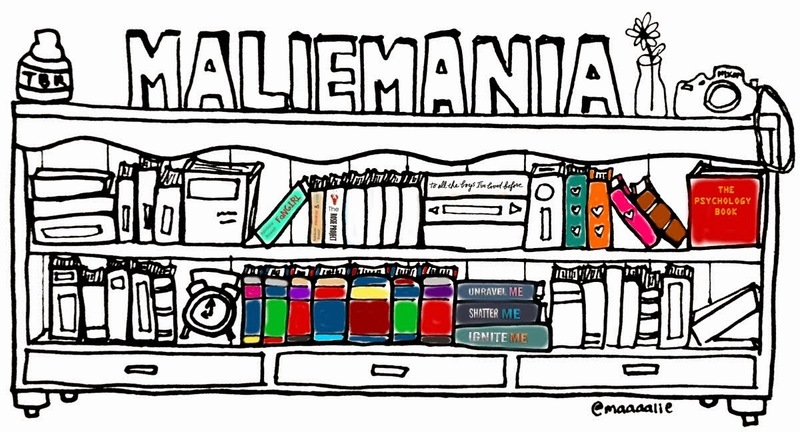 It was just so fun and easy to read and it made me feel like somebody else was telling me a bedtime story instead of me reading the book myself. I thought it was incredible, the way Mafi could write the narrator's voice so distinctly while still allowing the characters to take over their own perspective. I dog-eared so many pages from Whichwood! So many things that Laylee thought about were very relatable, which was honestly impressive given the fact that this was a middle-grade fantasy. I especially appreciated how realistic her thoughts had been regarding family, friendship, self-worth, loneliness and hope. All in all, Whichwood was fantastic and I think everyone who enjoyed Furthermore or love Tahereh Mafi's writing in her YA series would love this book. If you're looking for a light book with thought-provoking themes, wonderful world-building and beautiful writing style, This is definitely the book for you. I can't wait to see what other readers think about this one! ALSO, if you're living in Malaysia, we're hosting a giveaway to win a copy of a SIGNED copy of Furthermore by Tahereh Mafi! Check out Kevin's review here to find the link to join the giveaway! 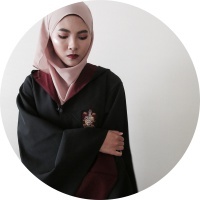 :D You should also check out Shahirah and Kimberly's reviews as well!